We love our bar. Crafted by local furniture maker, Chris Selner, the Shores' bar is all reclaimed material and looks like it has always been here. It tops off the comfortable warm atmosphere that brings people back to us, time and again, for their business and milestone events. 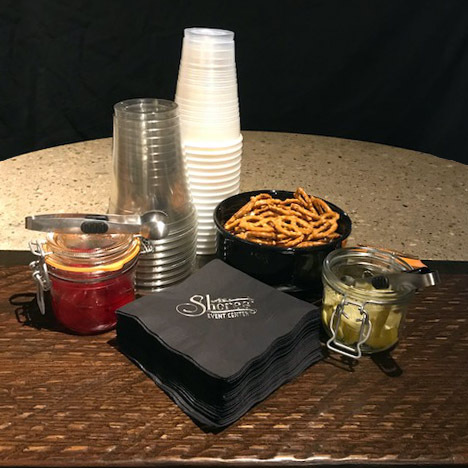 For corporate, wedding, and milestone events our bar service is only $100. For showers and small events, the service is only $60. This offsets our cost for the cups, garnishes, bartender, and normal bar inventory. We have chosen to upscale our house offerings so that our "well" drinks are others' "house" selections. We also have a great relationships with 7G, Benz Beverage Depot, and First Avenue Wine House. They are always keeping us aprised of anything new and exciting that we might showcase and offer to our clients. We know the event is yours. That's why we offer the greatest flexibility in inventory that we can. If you want a keg of Beer B and a bottle of Sprit X for your event, just ask. We will work with you to get it. 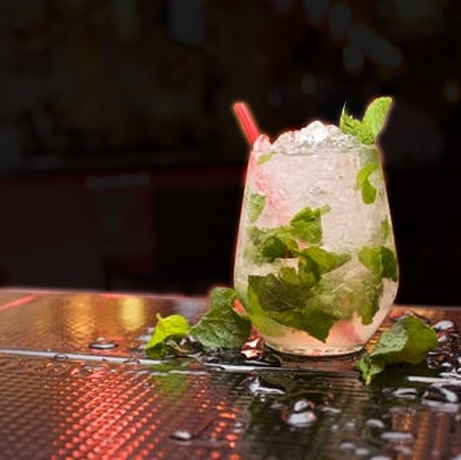 We also want to make a special cocktail for your event. We can talk that through, too.